And so ushered in the Roger Kieschnick era. Kieschnick singled in runs in his first two major league at-bats, finishing the night 2 for 5 and included a nice grab in left field as the Giants snapped a five-game skid with a 9-2 win at Philadelphia. It’s been a long road to the majors for Kieschnick, a third-round pick in the 2008 draft that included Buster Posey (first round), Conor Gillaspie (sandwich pick), Brandon Crawford (fourth round) and Eric Surkamp (sixth round). Injuries have stunted Kieschnick’s progress through the minors. After hitting .296 with 23 home runs and 110 RBI for Class A San Jose in 2009, he spent two injury-filled seasons with Double-A Richmond in 2010 and 2011. He was off to a solid start in 2012 with Triple-A Fresno and might have earned a call-up to the majors, but he injured his wrist while crashing into a wall while trying to run down a foul ball, effectively ending his season. He was hitting .273 with 13 HRs and 56 RBI for Fresno this season before getting his first call-up on Monday. He made his debut on Wednesday. Here’s how Kieschnick’s debut matched up with other MLB debuts for players on the current Giants’ roster who made their debut as a Giant. Sept. 10, 2011 vs. Dodgers — 0 for 2, 1BB. Winning a game to stop a losing streak — even a modest two-game skid — is always a good thing. But you might not realize how big Andres Torres’ game-winning single on Wednesday was. I had been thinking that the Giants have been kind of streaky this year. But when I looked, I didn’t realize they were streaky in a funky way. THREE CONSECUTIVE LOSSES, in a sweep vs. the Brewers in April 16-18, which was followed by …. FOUR CONSECUTIVE WINS, in a sweep of the Padres and a win over the Diamondbacks over April 19-22, which was followed by …..
FIVE CONSECUTIVE LOSSES, two losses to Diamondbacks and a sweep vs. the Padres after April 23-28, which was followed by …..
SIX CONSECUTIVE WINS, during consecutive sweeps of the Diamondbacks and Dodgers over April 30-May 5. When the Giants dropped the first two games against the Phillies on Monday and Tuesday, I suddenly became worried that they might be on their way to a seven-game losing streak. So thanks to Andres Torres for breaking the streak. In the midst of a carbon-copy defeat to the Phillies on Tuesday, we thought you might need a pick-me-up. I think it’s safe to say that Giants fans know how valuable Hunter Pence was to the Giants’ run to the World Series title last season, even if the numbers don’t say so. 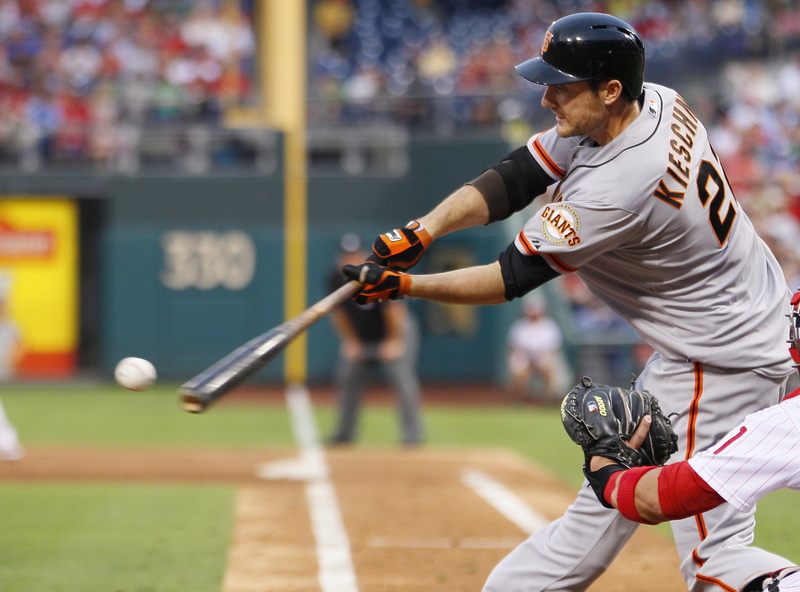 Pence hit .219 with seven home runs, but 45 RBI in his 33 games after being acquired in a trade with the Phillies. Those numbers make his stats with the Phillies preceding the trade look all-star quality: .271, 17 HR, 59 RBI in 101 games. Yet, Pence told philly.com that he wasn’t upset with the Phillies for trading him away. He felt like he let the team down, leading to their sub-par 2012 season. Pence added that he may tried to hard to produce in the absense of injured stars like Ryan Howard, Chase Utley and Roy Halladay. Perhaps, he didn’t learn that lesson right away, leading to down numbers during his two months with the Giants. Perhaps, he was trying to hard to prove his worth after being acquired by the Giants, and trying to replace Melky Cabrera, who was suspended shortly after Pence’s arrival. His high RBI numbers were more about opportunity as Giants ahead of him in the order, particularly Marco Scutaro and Buster Posey, provided him with RBI chances. The numbers masked his other contributions to the Giants: his clubhouse presence, his defense in right field, his pre-game speeches during the postseason. He batted .200 (4 for 20) in the NLDS vs. the Reds, but he had one of the bigger at-bats in the series. In Game 3, Pence battled a cramp in his calf and gutted out a big 10th-inning at-bat that produced a base hit that led to the Giants’ go-ahead run in a 2-1 victory that started a string of six consecutive wins in elimination games. This offseason, he worked on his approach at the plate to eliminate chasing pitches out of the strike zone and making better contact — two important skills when you play your home games at AT&T Park. It’s the kind of adjustment so many other ex-Giants failed to make when they moved from another home park to AT&T Park (Read: Aaron Rowand). Now the numbers reflect those adjustments: 6 HR, 20 RBI, .288 AVG, .321 OBP, .500 SLUG in 33 games, very much mirroring his career averages of .285 AVG, .338 OBP, .475 SLUG. He’s also been 5 for 5 on stolen base attempts. And who couldn’t like a guy who rides his scooter to the ballpark? 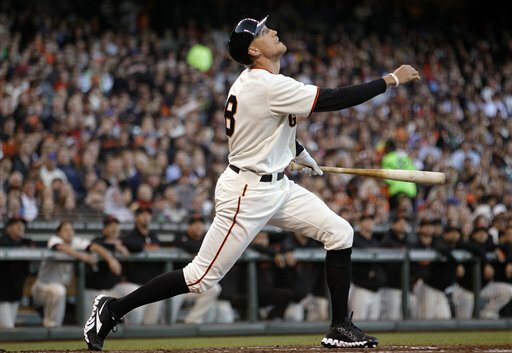 Hunter Pence must have been fired up to face his former teammates. 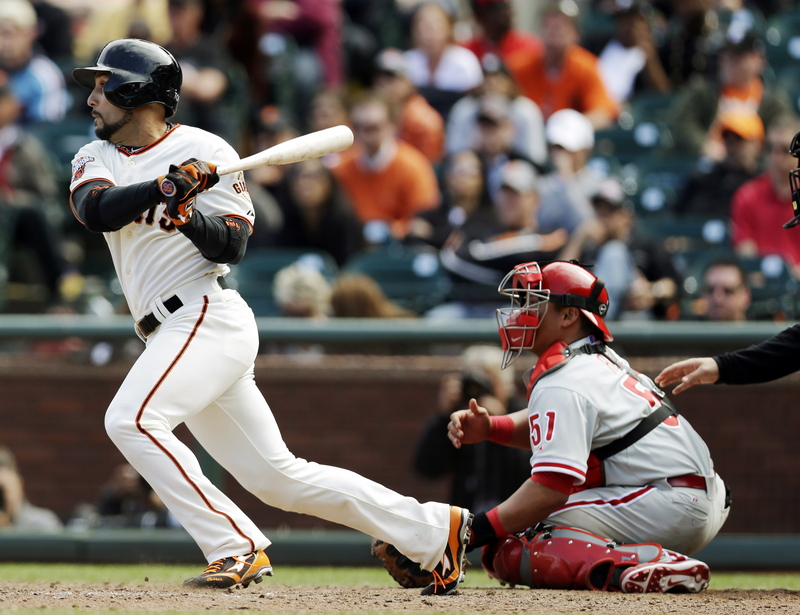 The Giants outfielder went 3 for 3 with a double and home run against Cliff Lee on Monday. Unfortunately, Pence was the only Giant who figured out Lee on Monday. Lee pitched eight solid innings Monday night to improve to 4-0 at AT&T Park — well, at least in the regular season. And so ends the Giants’ six-game winning streak. You know how 17 of the Giants’ 19 wins this season have required a save or a walk-off win? Well, the losses have come in similar fashion. Monday’s loss was only the fourth this season by the opposition that didn’t require a save or walk-off hit. That means that 36 of the Giants’ 42 to games this season have been decided by three runs or fewer. Monday’s game almost became game No. 37, but the Phillies tacked on a run in the ninth. Madison Bumgarner had his worst outing of the season. He danced through trouble in the first and second innings, which came back to bit him when Michael Young delivered a two-run double in the second. His two walks came in the first two innings, contributing to his troubles. He also had two wild pitches, one resulting in a run. Bumgarner, who entered the game with 1.55 ERA, left it with a 2.31 ERA. However, that could change. Interestingly, the Giants are appealing a ruling by the official scorer, seeking to change Eric Kratz’s infield single to error. With a runner on first and no outs in the second, Kratz hit a bouncer up the middle that Marco Scutaro gloved behind second base. In his haste to try to turn two, he attempted to flip the ball to Brandon Crawford with his glove. The ball fell to the ground and both runners were safe. The play was originally ruled an error, then later changed to an infield hit. MoreSplashHits reviewed the play, and it was indeed an error. If Scutaro reaches into his glove and makes the feed to Crawford with his right hand, they get the force at second, but probably not the double play. Scutaro’s effort to make a quicker feed to keep the double play possible resulted in the errant feed. Error. However, as CSN Bay Area’s Andrew Baggarly reported, the league rarely overturns the ruling of the official scorer, even if he’s wrong. In another odd stat, the Giants did not leave a runner on base the entire game. It’s the first time they’ve done that since 2008. The Giants had five hits and no walks. Two of the hits led to runs (both by Pence). The other three were erased on double plays. The Giants went 6-0 last week, leaving them 19-12 for the season, 1st in the NL West , 1 game behind of the Rockies. Monday: W, 6-4 vs. Diamondbacks; WP: Machi (1-0); HR: Belt (2). Tuesday: W, 2-1 vs. Diamondbacks; WP: Rosario (1-0); HR: Sandoval (4). Wednesday: W, 9-6 vs. Diamondbacks; WP: Kontos (2-1); HR: Pagan (1), Pence (5), Belt (3). Friday: W, 2-1 vs. Dodgers; WP: Romo (2-2); HR: Posey (4). Sunday: W, 4-3 vs. Dodgers; WP: Cain (1-2). Six wins, five come-from-behind wins and one hang-on-to-win. Lots of excitement (maybe too much). 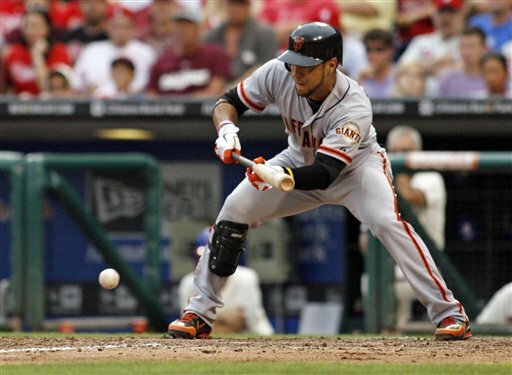 Brandon Belt’s two-run single in the eighth, Pablo Sandoval’s two-run homer in the ninth, Belt’s three-run homer in the eighth, Buster Posey’s walk-off homer in the ninth, Guillermo Quiroz’s walk-off homer in the 10th, Hunter Pence’s four-RBI game. Monday: Phillies (Lee 2-2) at Giants (Bumgarner 3-0), 7:15 p.m.
Tuesday: Phillies (Kendrick 3-1) at Giants (Lincecum 2-1), 7:15 p.m.
Wednesday: Phillies (Pettibone 2-0) at Giants (Barry Zito 3-1), 12:45 p.m.
We can tell you this much about the opener to this series: expect a low-scoring game. Bumgarner has a 1.55 ERA, but he has no decision in his last three starts. Why? The Giants don’t like scoring runs for him. When he’s left his last three starts, the score has been 2-2, 1-1 and 1-1. The Giants have given him 2.83 runs of support. But the Phillies have give Cliff Lee 2.67 runs of support. Bumgarner is 1-1 with 2.57 ERA in two starts vs. the Phillies. However, Lee is 4-0 with 0.63 ERA in 5 starts vs. the Giants (that doesn’t include Game 1 of 2010 World Series). It does include his 10 shutout innings in a game at AT&T Park last year (that the Phillies eventually lost in 12). 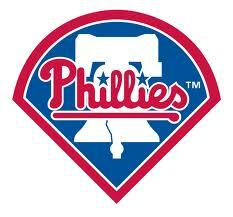 … The Giants went 4-2 against the Phillies last year, winning 2 of 3 at hom and 2 of 3 in Philly. Friday: Braves (Hudson 4-1) at Giants (Cain 1-2), 7:15 p.m.
Sunday: Braves (Medlen 1-4) at Giants (Lincecum 1-2), 1:05 p.m.
Giants won 4 of 7 games vs. the Braves last season, splitting a four-game set in San Francisco in August. … The Braves are second in the NL in home runs. They face Cain on Sunday, who has surrendered nine homers this season. … Catcher Brian McCann comes off the DL this week, but Justin Heyward remains on the DL. … The Braves opened the season 12-1, but have gone 6-11 since then. They’ve lost 7 of their last 10. In the top of the eighth inning with Buster Posey on third and one out, Gregor Blanco looked down at third-base coach Tim Flannery. Given manager Bruce Bochy’s disdain for putting on the suicide squeeze play this season, it’s no wonder that Blanco decided on the latter. It wasn’t until Buster Posey came charging down the line that Blanco was corrected. Blanco didn’t bunt and Posey was hung out to dry. It won’t, because Bochy won’t put the suicide squeeze on again. 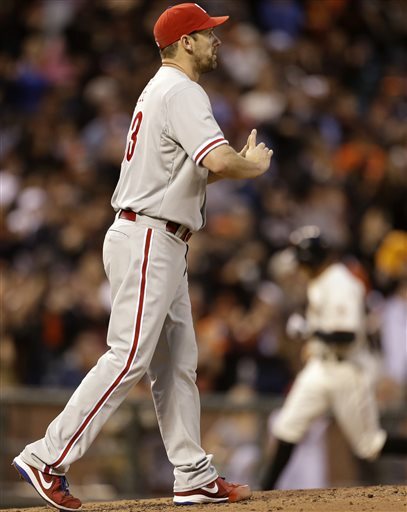 Luckily for Blanco and the Giants, the Phillies weren’t able to score and the game went into the 10th tied at 5-5. And Blanco found himself again at the plate with the go-ahead run (this time in the person of Melky Cabrera) at third base and one out. Bochy did not put on the suicide squeeze this time. But Blanco had the good sense to take matters into his own hands. It did indeed, and the Giants find themselves with another series win on the road. The Giants are assured of — at worst — a 4-2 road trip, with a chance to make it 5-1 when Barry Zito takes the mound Sunday against Joe Blanton. Like Thursday’s game in Atlanta, a win Sunday would be gravy as the Giants return home Monday for a 10-game homestead against the Padres, Dodgers and Mets. They did it with the longball early Saturday with homers by Matt Cain (yes! Matt Cain), Buster Posey and Melky Cabrera. And small ball late. Even if it did take two tries. Tim Lincecum talked about some funny things that were going on out on the mound Friday. But unlike the funny things in his many of his previous starts this season, the Freak was able to laugh of Friday’s freaky stuff. The first funny thing came in the third inning when Lincecum fielded a comebacker, threw to Buster Posey at first, then started to walk toward the dugout. One problem: there were only two outs, and the Philadelphia fans let him know it. The second incident, which Lincecum admitted was less funny than the first, came when his foot slipped off the rubber while starting to deliver a pitch to Ryan Howard. The resulting fall led to a balk, which allowed Shane Victorino to score the game’s first run in the fourth inning. 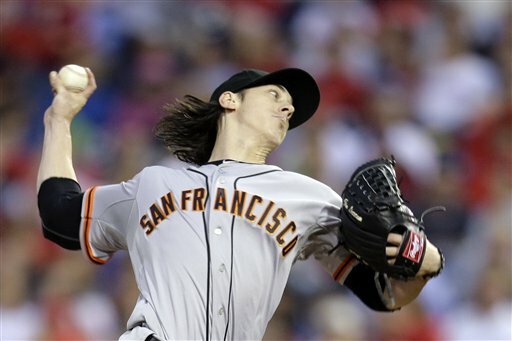 But unlike earlier this season, Lincecum was able to pitch around the mishap and limit the damage to one run. His Giants’ teammates would reward him with a five-run sixth inning that included a grand slam by Brandon Crawford, and Lincecum had his first road win since April 23. It’s his second quality start of the season on the road (the first coming in that near disaster in Oakland). It was his second consecutive quality start — only the second time he’s done that this season. Since the All-Star break, he’s allowed two earned runs in 15 innings with 17 strikeouts and three walks. “I’ve got two outings that are good behind me, and now it’s about working on that next one,” he said. “I’m not saying by any means that this is: ‘I’m back.’ I’m just trying to get back to that consistency. Friday’s outing was the one Giants fans were worried about. After wilting in the East Coast swelter in starts in Washington and Pittsburgh earlier this week, Lincecum was glad to see temps in the 70s in Philadelphia on Friday. Now his next two starts will come next Wednesday at home against the Padres, then July 31 at home vs. the Mets. In total from here out, that’s eight home starts and five road starts. A good recipe for the Freak the rest of the way.